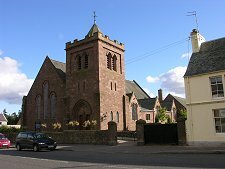 In medieval times Auchterarder was the most important settlement in Strathearn. Auchterarder Castle, whose fragmentary ruins lie to the north of the town, was used as a hunting lodge by Malcolm III in the latter half of the 1000s. Edward I of England stayed at Auchterarder Castle in 1296 during the Wars of Independence. Much later in the castle's life, in 1559, Marie de Guise, acting as Regent for the absent Mary Queen of Scots, met the Protestant Lords here to agree - for a short time at least - freedom of worship in Scotland. 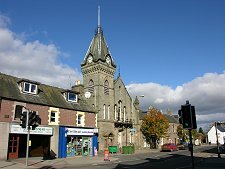 But by this time Auchterarder was in decline in importance compared with Crieff, a few miles to its north west. This decline was emphasised when the town was burned down by Jacobites under the 23rd Earl of Mar after their advance south had been stopped at the Battle of Sheriffmuir in November 1715 (see our Historical Timeline). 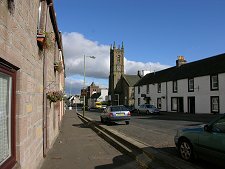 Through the remainder of the 1700s, Auchterarder remained just a shadow of its medieval self, and things got worse when the military road built from Perth to Stirling in the 1730s was routed via Crieff. The railway from Stirling to Perth, which opened in 1848, provided Auchterarder with a main line station. Another development that with hindsight was a sign of things to come took place in 1892, when Auchterarder Golf Club was formed, complete with an 18 hole course, on parkland to the west of the town. In 1913 the Caledonian Railway Company started work on a huge new resort at Gleneagles, west of Auchterarder. World War One stopped work, but in 1919 two 18 hole golf courses, the King's and Queen's Courses were completed under the direction of James Braid. In 1924 the Gleneagles Hotel was finished. 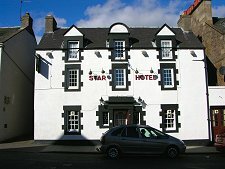 This was described at the time as "a Riviera in the Highlands" and "the eighth wonder of the world". A 9 hole course, the Wee Course, was added in 1928. Until 1982 Gleneagles only opened its doors to visitors in the Summer. 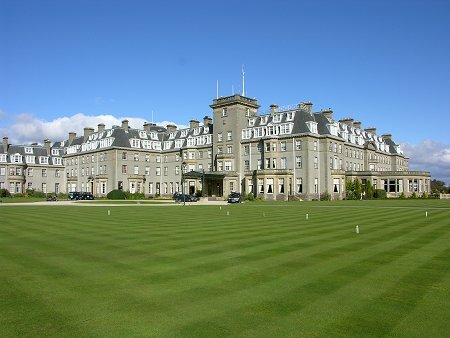 But between then and 1986 an £11m refurbishment was undertaken, with £35m more being invested in Gleneagles since 1986. Amongst other changes, a third 18 hole golf course, the PGA Centenary Course, was added, designed by Jack Nicklaus. Since the redevelopment of the 1980s, Gleneagles has become known as one of the world's great hotels (and is open all year), and its golf courses are likewise renowned. The PGA Centenary Course was the venue for the 2014 Ryder Cup between Europe and the USA. This side of Auchterarder is worth visiting for other reasons. 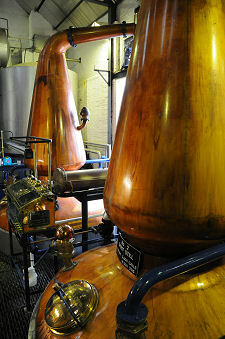 The attractive village of Blackford, just off the A9 three miles south west of Auchterarder is home to Tullibardine Distillery, with its excellent visitor centre and tours. 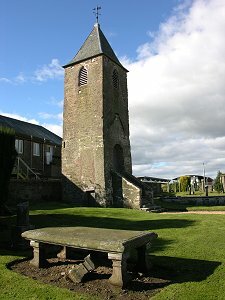 Overlooking the village from the north east is the ruin of Blackford Old Parish Church. 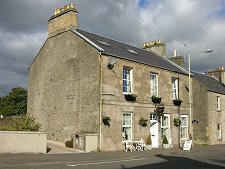 Meanwhile, accessed by a minor road from the mouth of Glen Eagles and a mile south of Gleneagles itself is Duchally Country Estate, offering hotel and self catering accommodation. 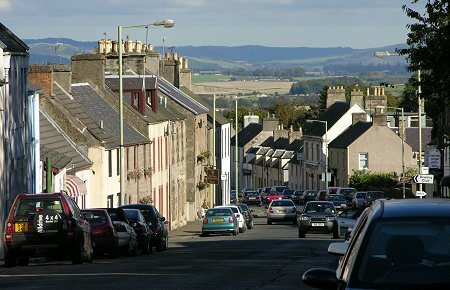 Auchterarder itself is often known as the Lang Toun because it stretches out along the line of a single main road that descends from west to east, offering wide views and much more of a sense of the surrounding countryside to the east that you'd normally find in such an urban setting.